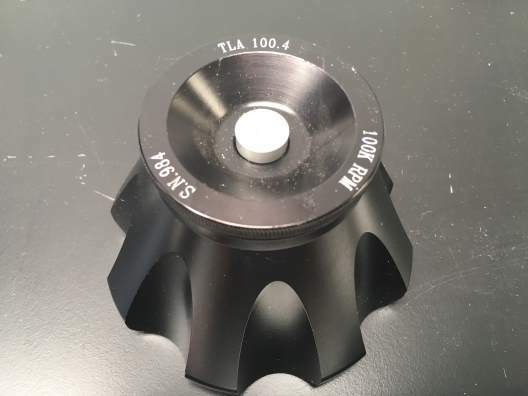 The T-890 fixed angle rotor performs a variety of applications with 8 place capacity. 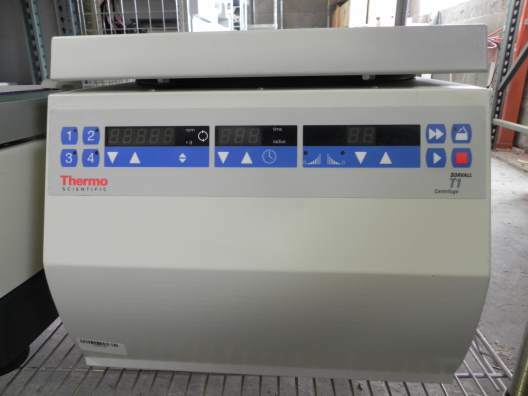 Major Applications include pelleting of subcellular fractions in 5-30 minutes; pelleting RNA in 1-2 hours; plasmid DNA separation in 6 hours. 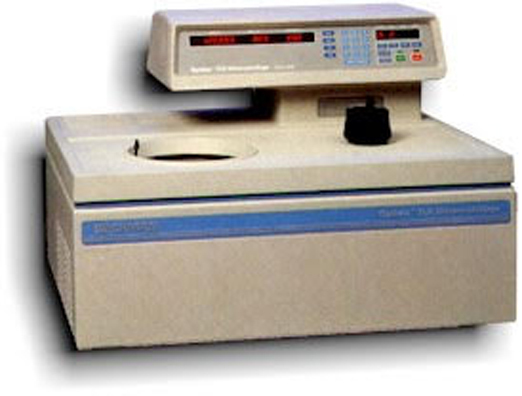 For use in the Optima MAX-XP Benchtop Ultracentrifuge, Optima TLX personal micro-ultracentrifuges, and Optima MAX high-capacity personal micro-ultracentrifuges, and the discontinued TL-100 and Optima TL micro-ultracentrifuges. 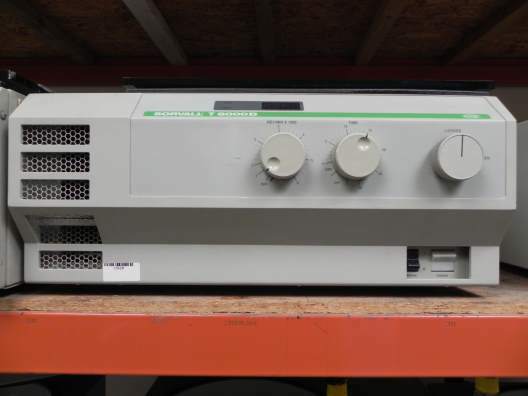 Beckman TLA-100.4 titanium fixed angle ultracentrifuge rotor Major applications: Rapid pelleting of subcellular particles, lipoprotein isolation, as well as isopycnic separations with total rotor volumes up to 40.8 mL of gradient per run. 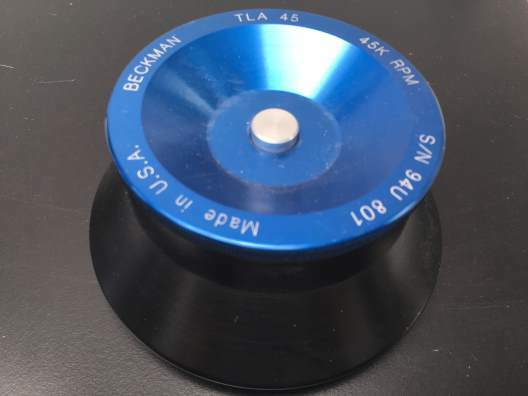 The Beckman Coulter TLA 45 rotor is an aluminum rotor, compatible with the Optima TL and TLX series with a fixed angle of 45 degrees. 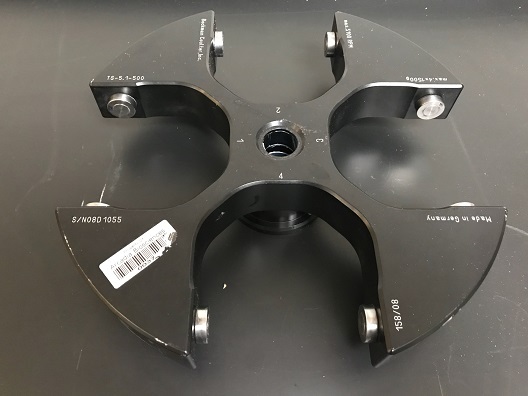 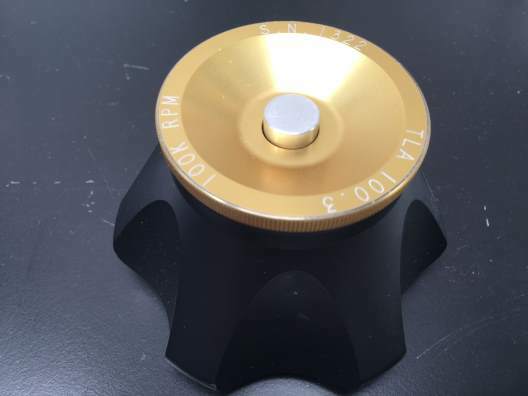 This rotor develops sufficient centrifugal forces for a number of applications: it provides quick pelleting runs that preserve the bioactivity of a sample and it is an effective tool for the recovery of fine precipitates. 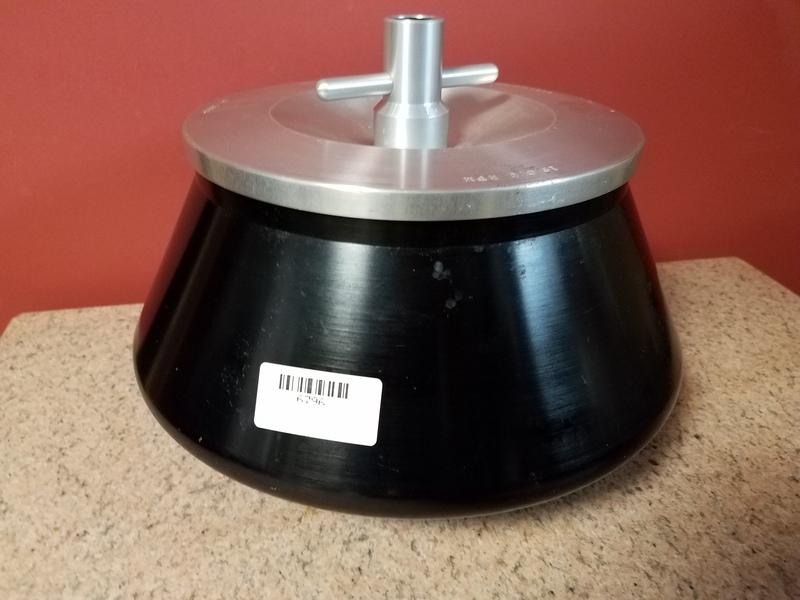 The Beckman Coulter Type 19 rotor is used for instruments classified H, R, S. Major applications include differential centrifugation of large volumes of viruses and large subcellular particles. 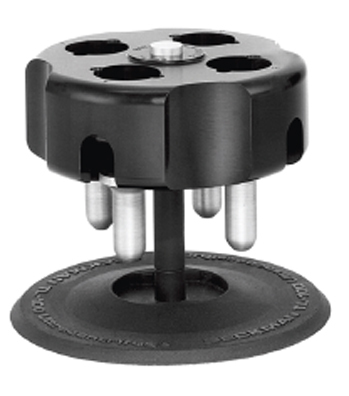 The Beckman Coulter 42.1 rotor is used for centrifuging small particles in volume and is compatible with instruments that are classified H, R, S.